Police officer gets 7.5 years for giving insider information to funeral firms | Russian Legal Information Agency (RAPSI). 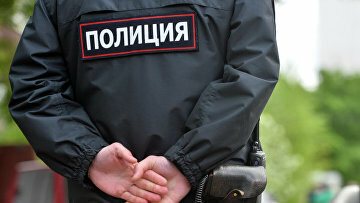 MOSCOW, April 15 (RAPSI) – A court in Russia’s Novosibirsk has sentenced a police officer to 7.5 years in prison for fee-based transfer of classified information about deceased city people to funeral firms, a statement released on the website of the Prosecutor General’s Office reads. The defendant has been also banned from holding law enforcement posts for 2.5 years. He has been found guilty of taking bribes. According to the Prosecutor General’s Office, the police officer illegally provided the insider information to two funeral agencies, whose representative signed funeral service reimbursement contracts with the relatives of deceased persons. The defendant has received 300,000 rubles (about $5,000) from the funeral firms for the supplied information.